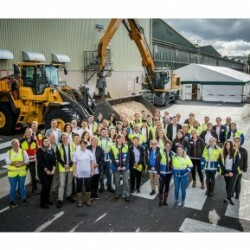 Last month saw over 1400 people attend two open days at EGGER Hexham, Northumberland’s largest manufacturing employer. 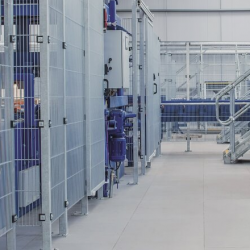 James Jones & Sons Ltd recently specified EGGER Protect for durable, non-slip structural flooring at its new secondary processing and treatment facility at Hangingshaw, near Lockerbie. 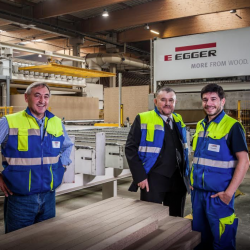 Exova BM TRADA has provided EGGER (UK) Ltd, a leading name in the manufacturing of wood-based materials, with ISO 50001 Energy Management certification. 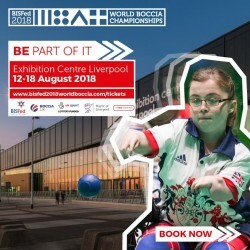 EGGER Protect is forming the sub floor for the competition courts at the 2018 Boccia World Championship, showcasing it can provide a top class surface for world class competition. 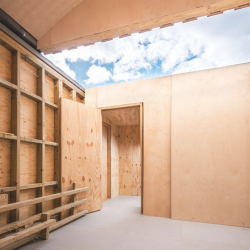 EGGER Protect has been used to complete an award-winning new observatory inside Northumberland International Dark Sky Park.